December, 2014 - Drive Dodge - Drive Sport! 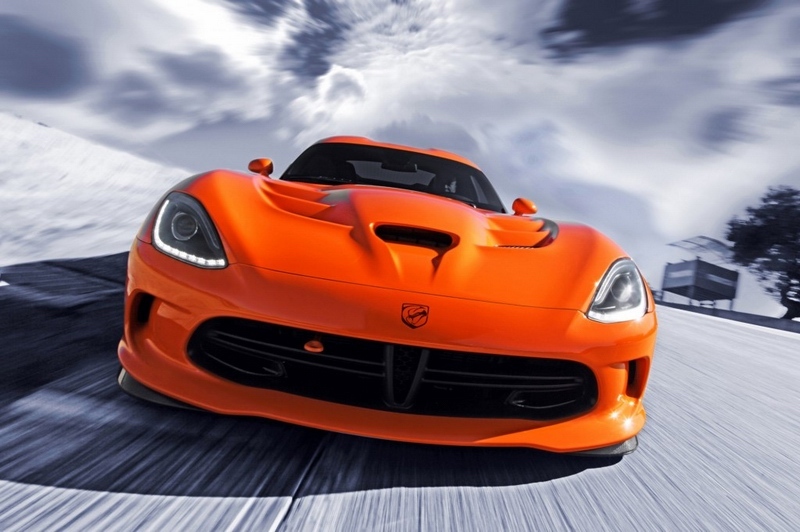 SRT Viper switches to turbo? Our Western comrades with allpar.com managed to scout about intriguing plans of Dodge Company – according to the portal that link to their own sources, the company plans to convert its new Viper to turbo version. Now, let us recall once again that Viper becomes a part of the model line of Dodge, as Chrysler recently decided to abandon lasted only a few years the brand SRT. However, the “Viper” it had no effect – the supercar is still walking on thin ice. This stems from the obscene price tag, literally leaving no chance for it for good demand (the company has repeatedly been forced to temporarily stop production). Also today, the situation worsens Viper by the «emergence” of more powerful Charger and Challenger SRT Hellcat (over 700 forces, for a moment). 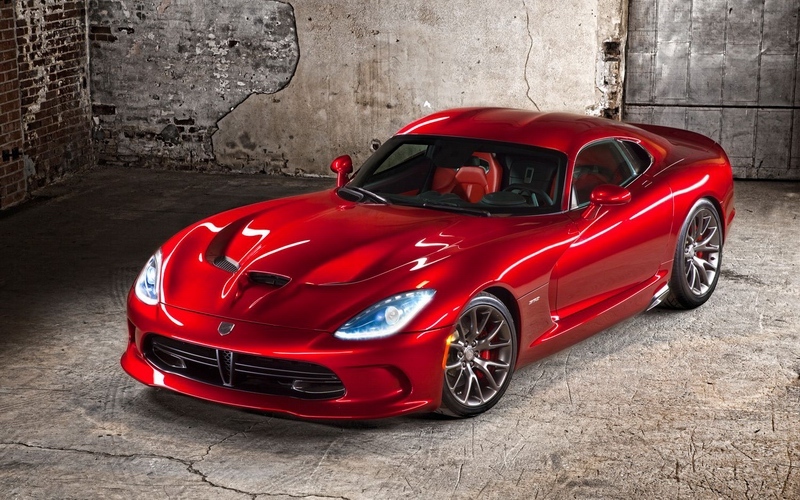 Dodge has showed the new Viper SRT 2015. The new Dodge has become more powerful and has got updated gearbox and has got new additional versions. So, now it is available in normal, GT- and GTS-versions. In the “medium” (also new) model boasts all the basic options plus adjustable suspension and traction control, as well as trim Nappa leather and Alcantara. For fans to race Viper there is also a modification of the TA 2.0 Special Edition, built on the base Viper SRT Time Attack, – its differences became a new kit with a generous portion of carbon, recalibrated and stiffer suspension, brakes Brembo, Sidewinder II wheels with tires Pirelli P Zero Corsa, and still Seats Sabelt, only three colors to choose from and circulation of 96 copies. The novelty also has new items and option GTS Ceramic Blue Edition – it is basically a set of stylistic features in the exterior and interior. 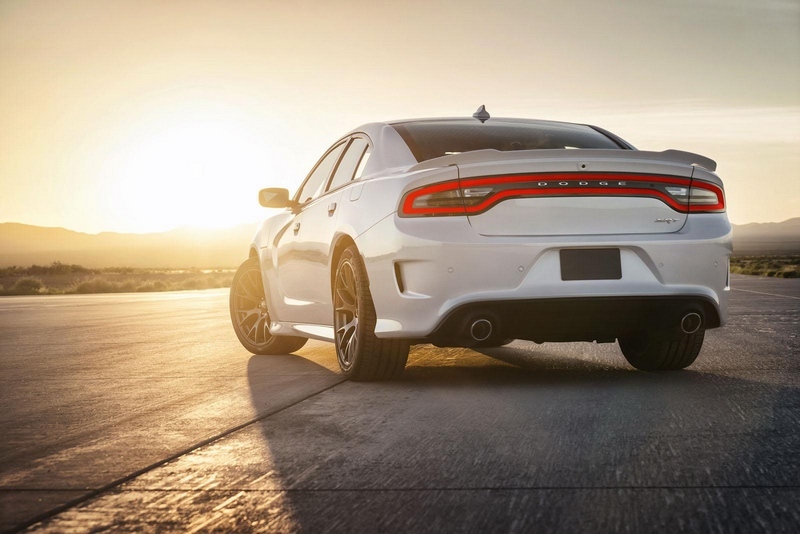 According to Chrysler, Dodge Charger SRT Hellcat in 2015 will became the fastest and most powerful production sedan in the world. Under the hood of the car is mounted 6.2-liter gasoline turbo engine HEMI Hellcat V8 capacity 707 hp (torque 880 Nm), working in conjunction with the 8-step automatic gearbox. This power plant provides car travel time quarter mile (400 meters) from the place of 11 seconds and a top speed of 328 km / h. Dispersal from zero to first hundred takes only 3.7 seconds (according to other sources – 3.5 seconds). Also a worth thing to say is about a unique feature Dodge Charger SRT Hellcat – two keys, black and red. For safety reasons, the black key blocks of the potential of the car, in particular, the engine power will be only 500 hp, but when turn red key it removes all restrictions and allow the driver to use the full power of the engine. Americans are finalizing the next generation of the sports car. 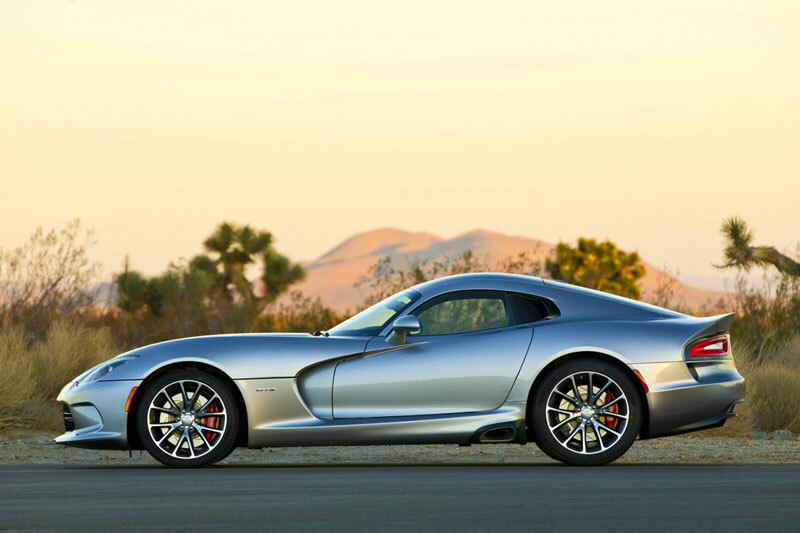 The division of Chrysler announced its readiness to next-generation for the supercar Dodge Viper. 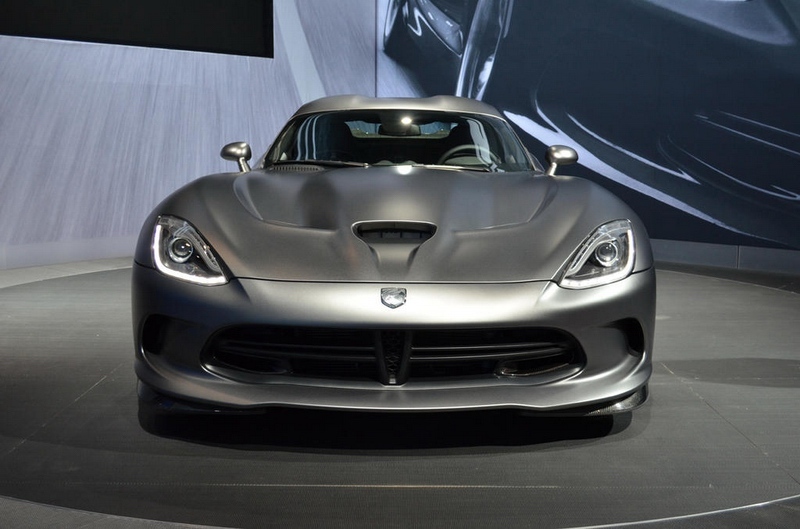 Meanwhile, in the media received information that the classic American Dodge Viper coupe next generation receive 10-cylinder engine with a mechanical supercharger. Previously, “viper” is the most powerful and fastest car in the line of Dodge, but with the release of Challenger Hellcat and 707 horse powers, authority Viper has suffered greatly. It is expected that the V10 with a mechanical supercharger rear-drive coupe will allow operating already with 750-800 horse powers. 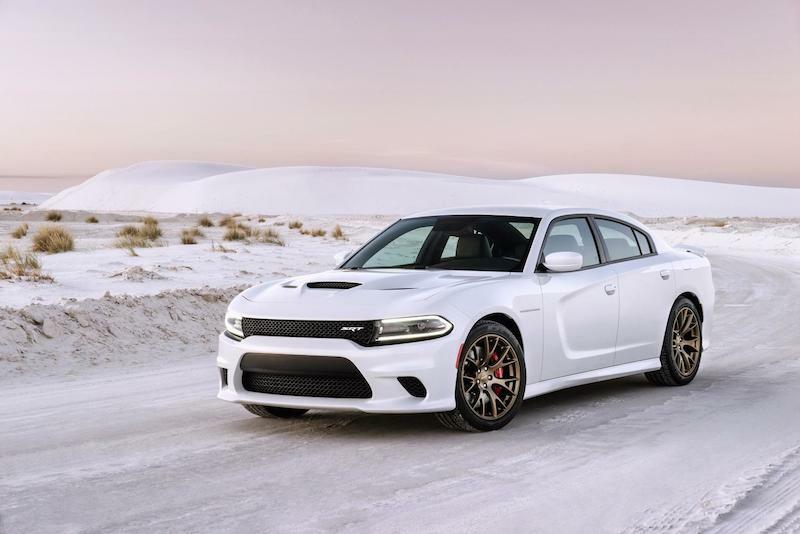 At the New York International Auto Show, the premiere of the updated full-size sedan Dodge Charger, who replaced almost all the body panels and borrow design of the front end in the compact Dodge Dart. Archaic head optics and grille are gone. Now the lights Dodge Charger summed LEDs grille is in the form of sports “mesh” and the bumper “registered” bright fog lights. As stated in the official press release, the new “Charger” replaced virtually all body panels. In comparison with the previous modification immediately struck by the new bow with a very massive grille and new headlights, as we have said. The car clearly has become more aggressive, angry, at least outwardly. Rear spoiler, a new, and the lights have changed slightly. Chrysler has difficulty with Dodge Viper. In fact, things are so bad that the production of “vipers” was stopped because nobody buys it. Nevertheless, all is not lost; Chrysler has lowered prices on Dodge Viper up to $ 84,995 in the US, which is $ 15,000 lower than the initial price. But that’s not all, because of the delay of production Chrysler issued a voucher of $ 15,000 for the first thousands of owners who have purchased “viper” in 2013. 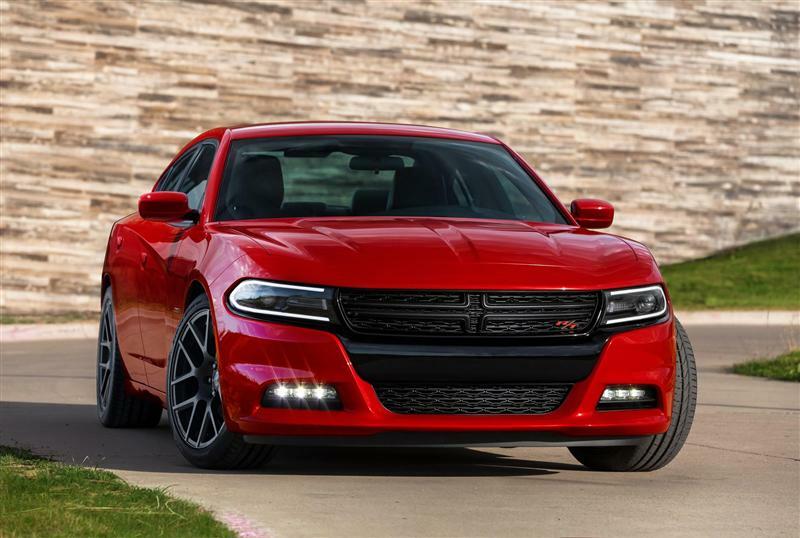 The new Dodge Charger SRT Hellcat became the most powerful sedan, commercially produced in our day. With the factory serial version Charger SRT Hellcat can compete only piece goods tuning Bureau. As expected, he got a new supercharged engine V8 6,2 HEMI Hellcat, which debuted earlier in the coupe Challenger SRT Hellcat. Imagine the impact it did not change: all the same 717 hp and 881 Nm. It is no wonder that the dynamics of the sedan phenomenal. Quarter mile car passes for 11 s (at standard tires). It’s even better than the top-end Challenger on factory tires (11.2 s). Less than 13 seconds novelty enough space to accelerate to a hundred miles (160.9 km / h), and again to stop. On acceleration 0-60 miles / h (96 km / h) requires 3.7 seconds.